Ten new recipients were recognized in 2010. A respected and instrumental leader for 35 years with the Canadian Department of National Defence (CDND), Kenneth Calder's influence reached far beyond this country's borders. Even before completing his PhD at the London School for Economics and Political Science, Calder had been recruited by the CDND to join its strategic analysis group. He remained there until his retirement in 2006, having served as the department's first Director of Strategic Analysis and then, from 1991 to 2006, as Assistant Deputy Minister (Policy). He was also seconded by the Department of External Affairs to serve as its nuclear affairs expert at NATO Headquarters in Brussels from 1979 to 1983. In his role as Assistant Deputy Minister (Policy), Calder frequently briefed federal ministers and the Senate, and served as one of the country's chief negotiators in delicate discussions with defence officials from the Soviet Union, United States and various other countries. In 2000, Calder was awarded the highest honour in the Public Service of Canada, the Outstanding Achievement Award. An excerpt from his citation for this award read: "Dr. Calder's meticulous thoroughness, depth of intellect, quiet persuasiveness, sense of balance and reasonableness have extended his influence beyond his department and, indeed, beyond the country." 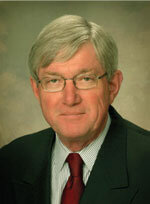 Best known for his work in medical imaging, Richard Ehman has etched a global and distinguished reputation for excellence in research, education and clinical practice. After receiving both his undergraduate and medical degrees from the U of S, Ehman completed his residency at the University of Calgary, during which time he held research fellowships at the University of California at San Francisco and the Mayo Clinic. 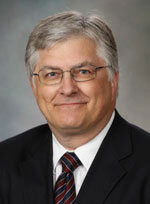 He joined the Mayo Clinic in 1985, and has since been credited with developing magnetic resonance elastography (MRE), technology that physicians use to determine the stiffness of internal organs. He holds more than 20 patents for his various inventions, and has also published more than 150 peer-reviewed articles. His outstanding work has earned him numerous honours and awards, some of which include: the Canadian Governor General's Medal, the Gold Medal from the International Society for Magnetic Resonance in Medicine, and Outstanding Researcher Award from the Radiological Society of North America. He has received an honourary doctor of science degree from the U of S, and was recently inducted to the U.S. Institute of Medicine, one of the highest honours for American health and medicine professionals. Willard Estey enjoyed a brilliant career as a lawyer and jurist, earning a reputation that crossed both provincial and national borders. Born and raised in Saskatoon, Estey obtained his master of laws degree from Harvard University after first graduating from the U of S and then serving in the Second World War in both the R.C.A.D. and the Army. After almost three decades of work as an outstanding barrister in Ontario, he was appointed to a succession of high judicial offices, culminating with his appointment to the Supreme Court of Canada from 1977 to 1988. He advocated for many reforms to the administration of justice, many of which helped made judicial services more expedient and less expensive. In his overseeing of many monumental decisions, Estey proved himself to be both a sensitive libertarian and also one who was careful to maintain an effective balance of power between Ottawa and the provinces. In 1984, he was recognized by the U of S with an honourary doctor of laws. Estey was also a strong advocate for amateur hockey throughout Canada, and was appointed a trustee of the Stanley Cup in 1984, an honour that he maintained until his death in 2002. One of the world's most eminent plant cell biologists, Larry Fowke has been instrumental in cementing Saskatoon's reputation as an international centre for agricultural biotechnology. Since joining the University of Saskatchewan's faculty in 1970, Fowke's research accomplishments have, in many ways, redefined knowledge surrounding how plant cells divide and absorb materials. He is also an expert in the cloning of conifers and has published more than 130 papers in referred journals around the world. Colleagues have cited his willingness to collaborate with other research agencies and researchers worldwide as a model for the greater scientific community. He has also earned a reputation as an excellent and innovative teacher, both at the introductory undergraduate, graduate and post-doctoral levels. He has been the recipient of numerous honours and awards throughout his distinguished career, including the U of S Distinguished Researcher Award in 1998 and an earned doctor of science from the U of S in 2006. In 2009, he was inducted into the Royal Society of Canada, the country's senior national body of distinguished scholars, artists and scientists. An economist and tireless advocate for feminist and social justice issues, June Menzies helped revolutionize and reform family law across Canada. Menzies' feminist development began taking shape when as a young child she began noticing that men were inherently handed a higher social standing than that of women. This continued into her early adult years, when she experienced firsthand gender discrimination on many fronts while serving with the Canadian Women's Army Corps in 1943. After moving to Winnipeg in 1962, Menzies began speaking out and quickly became a key member of Manitoba's feminist movement. She was central to the development of the original Manitoba Action Committee on the Status of Women, drafted the structure of the Royal Commission on the Status of Women and served as the first vice-president for the Canadian Advisory Council on the Status of Women. 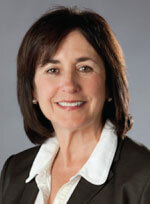 Menzies also chaired and served as CEO for the Farm Products Marketing Council. She was the vice chairman of the Anti-Inflation Board from 1976 to 1979, and spent seven years in the private sector as Director and Economist with the M.W. Menzies Group Ltd. She was appointed an Officer of the Order of Canada in 1981, received an honourary doctor of laws degree from the U of S in 1983, and was invested to the Order of Manitoba in 2007. Ernest Olfert's recent appointment to the newly-created position of University Veterinarian at the U of S speaks to the lifetime he has spent revolutionizing animal medicine throughout Canada. After receiving his BA from the College of Arts & Science, Olfert was a member of the University of Saskatchewan's first graduating class from the Western College of Veterinary Medicine in 1969. His 40-year career with the U of S started in 1970, and he soon established himself as an outstanding researcher, author and veterinarian who is now widely recognized as one Canada's pioneers in laboratory animal medicine. He was the lead editor for the Guide for the Care and Use of Experimental Animals (Canadian Council on Animal Care, 1993), a book that remains highly influential around the world. 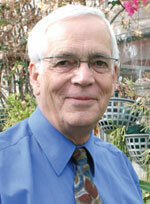 He was also the leading co-author of 12 training modules for animal users published by the CCAC in 2003. In 2006, Olfert's work was officially recognized by the CCAC as he received the organization's Outstanding Service Award. He was also awarded the Queen's Jubilee Medal in 2003 and, in 2005, was named the Veterinarian of the Year by the Saskatchewan Veterinary Association. 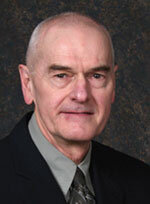 Olfert's work was recognized by the U of S Alumni Association with an Alumni Award of Acheivement in 2010. Courageous, respected, influential and visionary were all adjectives used by Louise Simard's acquaintances in her many nominations for this honour. And judging by her extensive and trailblazing work in the public sphere, it's easy to understand why. After earning her BA in philosophy and law degree from the U of S, Simard articled in Regina and, soon thereafter, became the first woman to hold the position of Legislative Council and Law Clerk for Saskatchewan (1974 to 1978). Over the years she became deeply involved in a number of influential organizations, including the Medical Council of Canada (board member), Saskatchewan Human Rights commission (vice-chairperson) and Council of the College of Physicians and Surgeons (consumer representative). 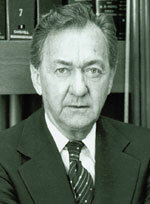 Simard served as MLA for Regina Lakeview with the Saskatchewan NDP from 1986 to 1995, and as Minister of Health from 1991 to 1995. Although she chose to not run for re-election in 1995, Simard's work on matrimonial property law in the 1980s and health reform in the 1990s helped spur widespread changes to both sectors. In 2000, she was named CEO of the Saskatchewan Association of Health Organizations, and in 2003 she became CEO of the Health Employers' Association of British Columbia. A pioneering woman with an unwavering passion for the world around her, Michelle Swenarchuk became one of this country's most vocal early proponents for environmental sustainability. After receiving her BA in English at the U of S, Swenarchuk worked for a short time in social work before pursuing a career in law. She graduated from Toronto's Osgoode Law School in the early 1970s, and shortly thereafter opened a practice with Judith McCormack, a fellow graduate. She began her career in law working primarily with a group of small Canadian unions representing the rights of immigrant women. In 1991, after several years serving as the Canadian Environmental Law Association's (CELA) chief counsel, she was named the organization's executive director. One of her major accomplishments with the CELA was representing a coalition of Northern Ontario's environmental groups-called Forests for Tomorrow-at a landmark hearing into Ontario's timber management program. After 440 separate hearings covering a four-year period, Forests for Tomorrow and Swenarchuk attained their objective of sustainable forestry. Often credited as having coined the phrase "environmental crisis," she also became well-known for her arguments against the "Harvard Mouse" case at the Supreme Court of Canada. Her success in this monumental case led the Supreme Court to rule that higher life forms could not be patented in Canada. 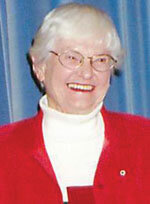 In 2004, she was awarded the Law Society of Upper Canada's medal for outstanding contributions. 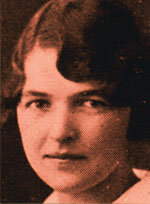 A world-class athlete, Dorothy Walton also became one of the most effective and constructive Canadian public figures following the Second World War. While completing her BA in economics from 1926 to ‘30, Walton was a member of 14 intercollegiate teams and also won individual championships in diving, discus, javelin, high jump, broad jump and the 220m. In racket sports she won more than 50 local, provincial and Western Canadian tennis titles, as well as several in badminton, and was the first female to win the U of S award for top student athlete. Following university she continued her dominance in racket sports, completely outclassing her North American badminton competition and, in 1939, she became the first Canadian to win the all-England championship. Following the war, Walton helped found the Canadian Association of Consumers and, later, became the organization's president. 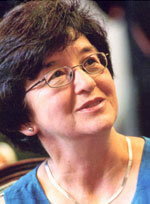 She became well-known as a fierce champion of social causes, and was named to the Order of Canada in 1973. She was also inducted into Canada's Sports Hall of Fame and the Canadian Olympic Hall of Fame. David Zakus used his BSc in Biochemistry from the U of S to help launch a diverse medical career with global reach. Since receiving both his masters (1987) and post-doctoral (1992) degrees at the University of Toronto, Zakus has served in a number of prominent roles, many of which focus on international health issues. 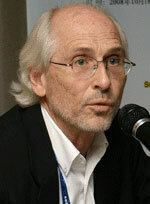 Most notably, perhaps, he is currently the Executive Director for the HIV/AIDS in Africa Initiative. He has worked extensively in Africa, as well as nearly 20 other countries as both an academic and consultant. Closer to home, Zakus is the Director for the Centre for International Health at the U of T and an Associate Professor for several departments in the U of T's Faculty of Medicine. His teaching and research focuses on international health, health system development/reform, community-based health services, primary health care and community participation. He is a member of various national and international health boards, and was also a founding member of the Canadian Network for International Surgery.